West Cost Blank (Plain) : 99 Rs/Kg. West Cost Blank (Single Color) : 100 Rs/Kg. West Cost Bottom Reel : 88 Rs/Kg. ITC Bottom Reel : 95 Rs/Kg. We are known as the prominent organization to offer a wide range of Silver Foil Paper Plates. The offered paper plate is manufactured by our professionals utilizing the finest quality paper & silver foils for laminating in compliance with the international quality norms. 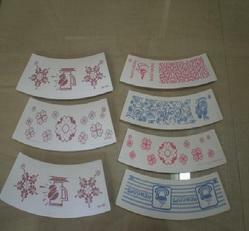 This paper plate is provided in various sizes as per the needs of clients. 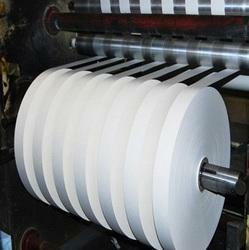 We are the prominent organization to offer supreme quality Paper Cup Raw Material (Plain). Use to make plate by banana leaf; we manufacture the offered leaf plate under the vigilance of our experts using optimum quality material. Also, this leaf plate is examined on various parameters in order to supply a defect free range to customers. We offer this leaf plate at very affordable rates. Looking for Paper Cup Raw Material ?